THERE is still no access to or from the Trent via the Stainforth & Keadby Canal. 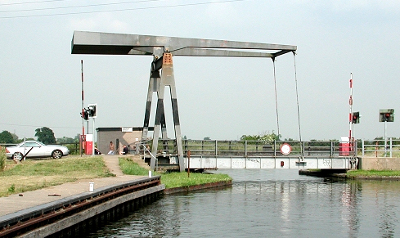 Wykewell Lift Bridge at Thorne on the waterway failed last Wednesday, and though engineers have been present, they have been unable to make a repair, Keith Gudgin tells us. All they could do is make the lift bridge safe in its 'down' position as a road bridge, as the broken parts on the bridge were unable to be sourced. There is no intimation from Canal & River Trust when these will be available or fitted, only that the navigation is closed.